Check out this cutie! He has huge ears and a huge heart. He is an active little guy and likes other dogs, though he can be a bit shy.We think he is about 6 years old and he weighs about 8 pounds. He curls up nicely with you and seems to be housetrained, though he may have a few mistakes. He likes walks and pets.Skippy would thrive in an adult household , that will shower him with lots of love! We are so lucky to have Froggie! 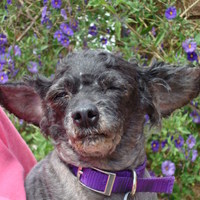 and so will his adopter.Our little chubby poodle had to be shaved down, he was so matted, he feels so much better!! Are you looking for that unconditional love, well Froggie is the one for you! great house manners, cuddle bug, we can’t believe he was dumped at the shelter. Clancy is Happy! He is out of the kennel he has been in for a month. 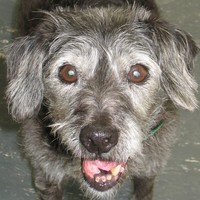 What a character, he looks old, but he acts like a youngster.The shelter thinks he is about 9 years old. He is super friendly, very social with a tail that never stops wagging! He is quiet when left alone but loves company. We are going to clean him up and get him neutered. 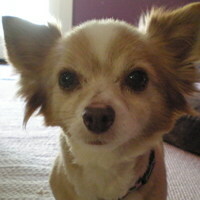 Oscar just arrived here at Muttville, and so far, he is a little dream boy…loves to be held, no barking and no marking! He loves to give kisses and is submissive with the other dogs here. Muttville will be scheduling him for a neuter and dental shortly. The shelter thinks he is about 10 years old, barely middle aged for this little guy! We will update his file after we know a bit more about this lovely boy. 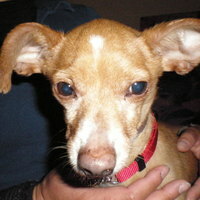 Charlie is super sweet and easy, we can’t believe he was a stray in Stanislaus Co.- but he was! and in urgent need of being rescued. 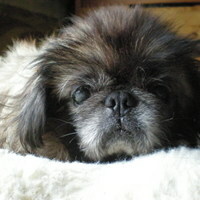 Due to his age- approximately 9 years old, he was going to be euthanized! He is fine with all our dogs here and seems healthy. He has not been to the vet yet…we will keep you posted! his mommy died and Midget had no where to go! He spent almost a month in an animal shelter and was very frightened when we picked him up, he is coming out of his shell now. What a sweet heart, a shy and affectionate little girl. 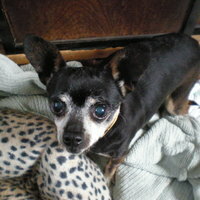 She is a joy to be around and she doesn’t ask for much…just some lovin’- she is good with cats and other dogs. 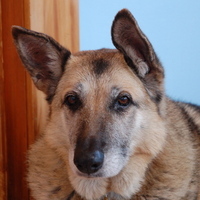 She is active and inquisitive, likes a nice walk and is great on and off leash. 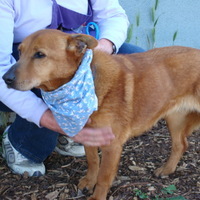 Mugsy came to San Francisco’s ACC after being neglected for many years. Because he was deaf, he was passed over for adoption. 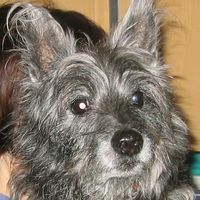 We at Muttville saw great potential for him as a companion. 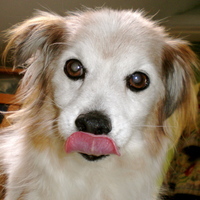 He was so spunky, so energetic, such a little whippersnapper.